Updated Tuesday April 9, 2019 by Sherri Sonia. A fantastic morning talking to Mustangs past, present and future!! We had a ball and we hope all the kids did too. Special thanks to High School Coaches Coppola, Dalicandro, and Bitchell for showing our Mustang football players and cheerleaders how much fun being a Mustang can be. And thank you to all the High School players and cheerleaders who came to help and share their experiences. We are very grateful for your support! 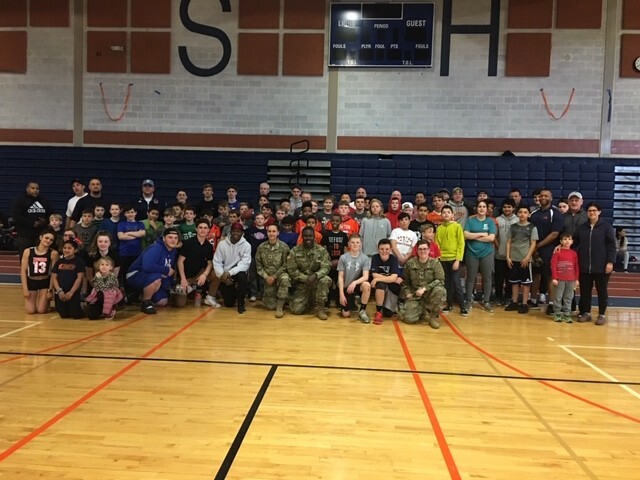 And a huge thank you to our friends at the National Guard for also coming down and interacting with our kids. It meant a lot to the kids! If you couldn’t make it today, you can still be part of the Mustang Magic! Go to our website, newtonmustangs.org and register today! Be a part of the family!